48. Reigando (霊巌洞) – A famous place where swordsman and ronin Miyamoto Musashi is said to have spent 5 of his later years. “The Book of Five Rings” authored by him was also written during this period of time. The cave is located in the mountains behind unganzenji (temple). 49. 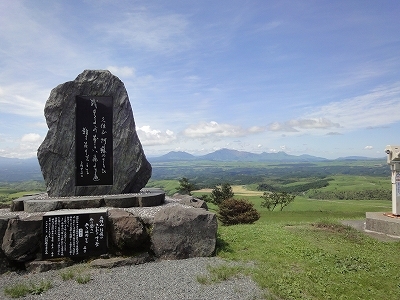 Kuju Highland Sky Park Azamidai Observatory (久住高原スカイパークあざみ台) – Well-received in Japan, this observatory has an elevation of 1036 m and overlooks the Aso Kuju National Park with a 360 degrees panoramic view. It is said that the view from the observatory changes from day to day and one will never get tired of seeing the scenery. 50. Heiwadai Park (平和台公園) – Seasonal flowers and plants are spread out across the hills with a peace tower overlooking the city of Miyazaki. 400 clay figures (haniwa), reconstructed based on excavations all over Japan, are displayed in the Haniwa Garden. 51. Jomon Sugi of Yakushima (屋久島の縄文杉) – The oldest and largest Japanese Cedar (yakusugi) on Yakushima, the Jomon Sugi is given its name because it is estimated to have been around since the Jomon period, some 4,000 years ago. Yakushima itself is a UNESCO World Heritage Site. 52. The Okinawa Churaumi Aquarium (沖縄美ら海水族館) – With a main tank of 35m x 27m x 10m containing 7,500 cubic meters of water, the Okinawa Churaumi Aquarium is one of the largest aquariums in the world. Whale sharks are made to look small in such a large tank. 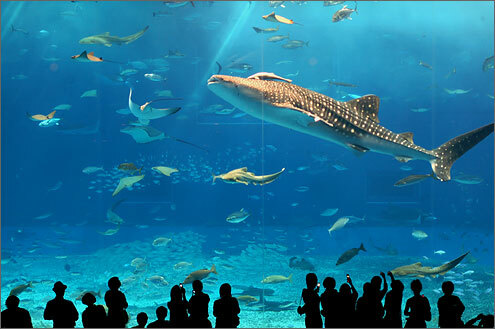 The aquarium’s concept revolves around the ideas of encountering the sea of Okinawa and 77 tanks are on exhibition. 53. Kami No Hamatenboudai (神の浜展望台) – An observatory in the western part of Zamami. The scenery includes uninhabited islands such as Agenashiku island and Amuro island, and a 360 degrees view of the area. The observatory is also a well-known spot for viewing majestic sunsets. 54. 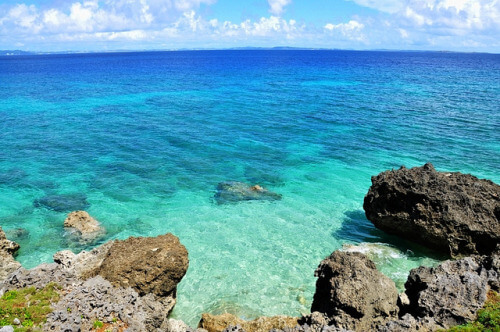 Kudakajima (久高島) – This small elongated island on the east coast of the main island of Okinawa is known to locals as the Island of God. A scared place for Ryukyu mythology, it is also a land where grains for staple food originates. And that concludes the list of 54 places must-visit places in Japan as recommended by locals!